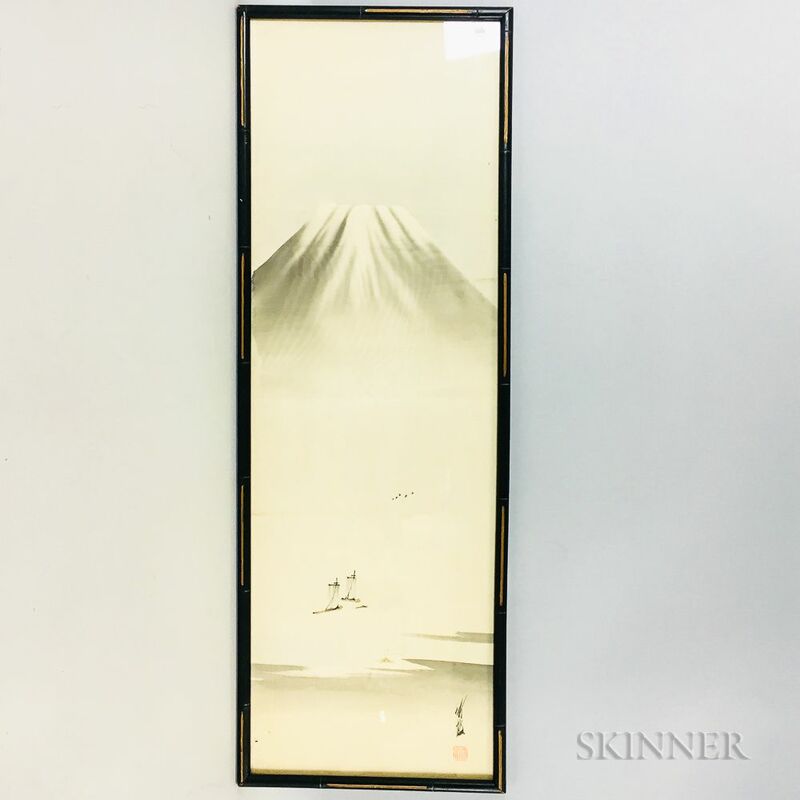 Two Framed Paintings on Silk, Japan, an ink landscape with Mt. 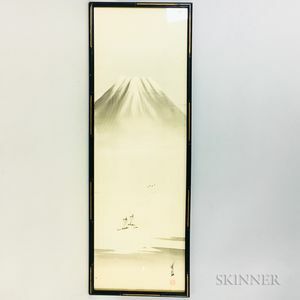 Fuji over a misty river with two boats; and a painting of a beauty holding an umbrella, ink and color, both signed with a seal, painting size to 41 1/2 x 13 1/2 in. 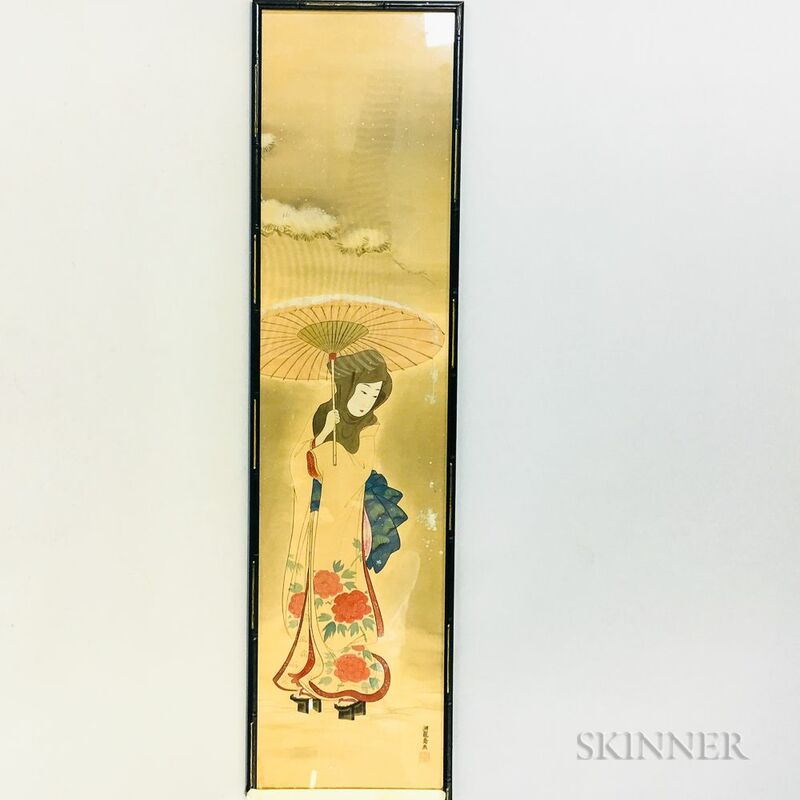 landscape with tears to silk, beauty with damage to frame.